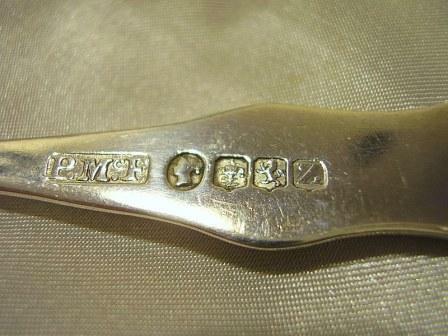 Can you please ID the makers marks on the enclosed photo. This one was a little more difficult! I did manage to find the mark, it is that of Patrick McFarlane. However I can find no record of when his mark was first entered. Thank you very much it’s enough for me to have the maker’s name!